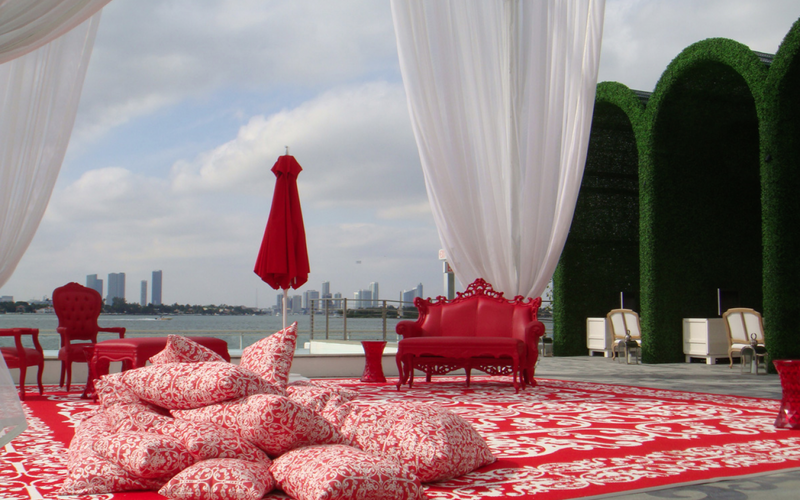 A welcome break from the tired white-on-white trope that has become expected in Miami. 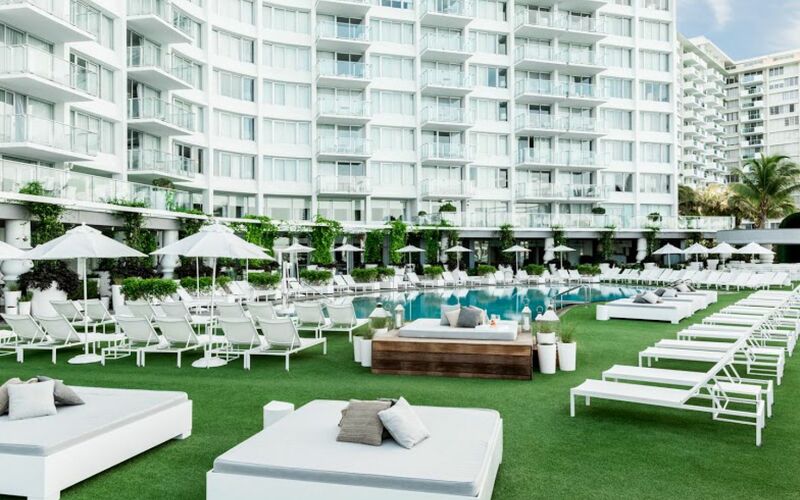 The Morgans Hotel Group does not disappoint with its South Beach satellite, bringing the upscale luxury of the famed Mondrian Hotel to lascivious Miami. 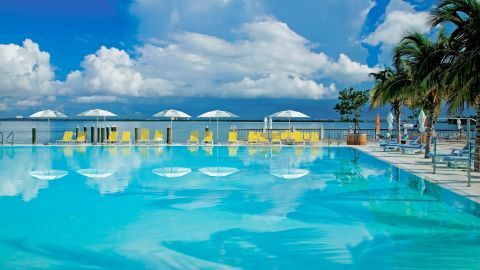 The hotel sits on the shore of Biscayne Bay, offering stellar, panoramic views of the water and the city. 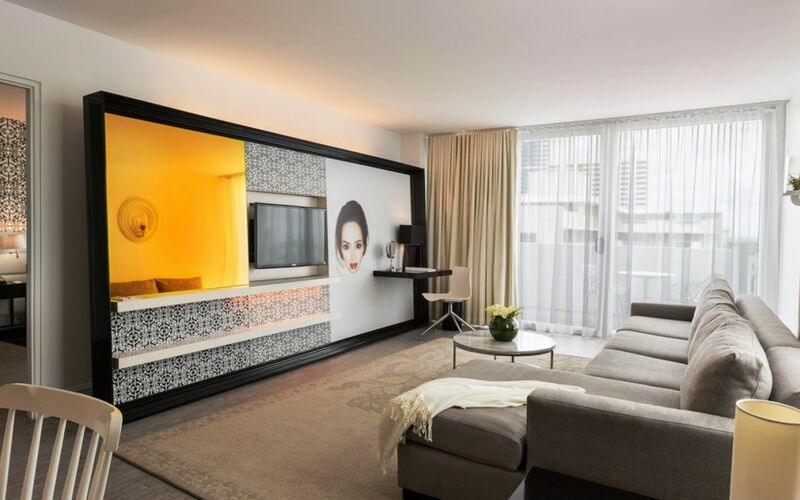 In creating a concept for the hotel, Dutch designer Marcel Wanders was inspired by Sleeping Beauty’s castle. 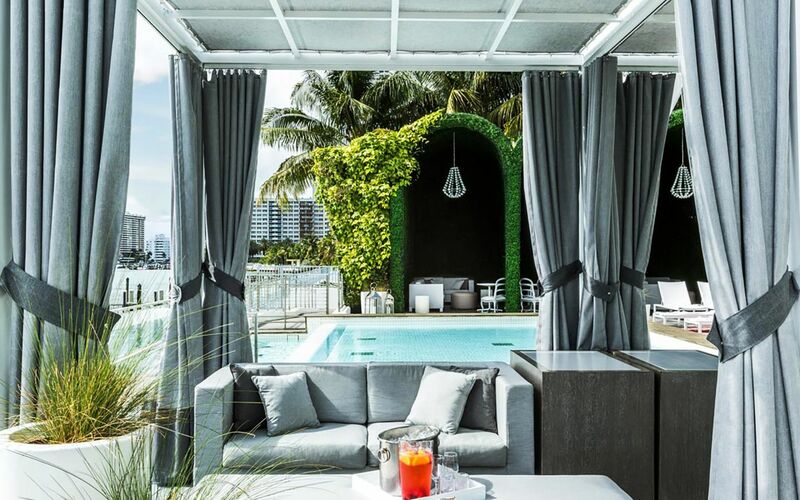 His vision offers a welcome breath of fresh air—a break from the tired white-on-white trope that has become expected in Miami. 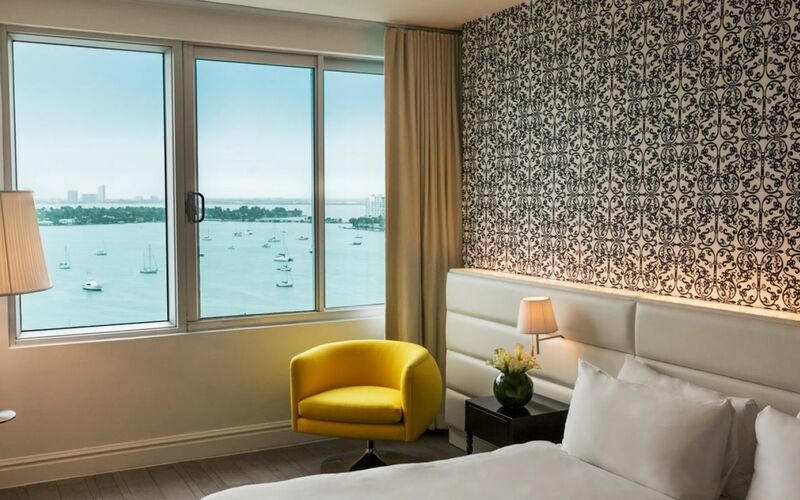 Mondrian welcomes visitors with its stunning, light-bathed lobby, which features floor-to-ceiling windows, geometric columns, and an iconic floating staircase. 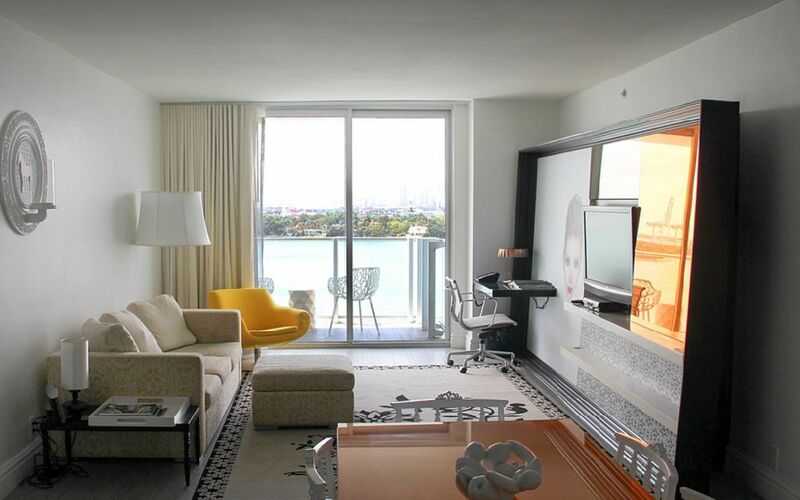 All 343 rooms are quite large with retro furniture and bold patterns. 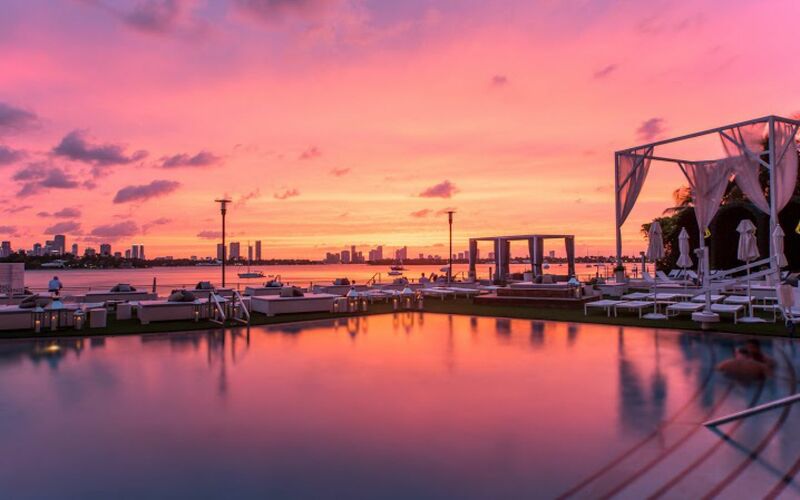 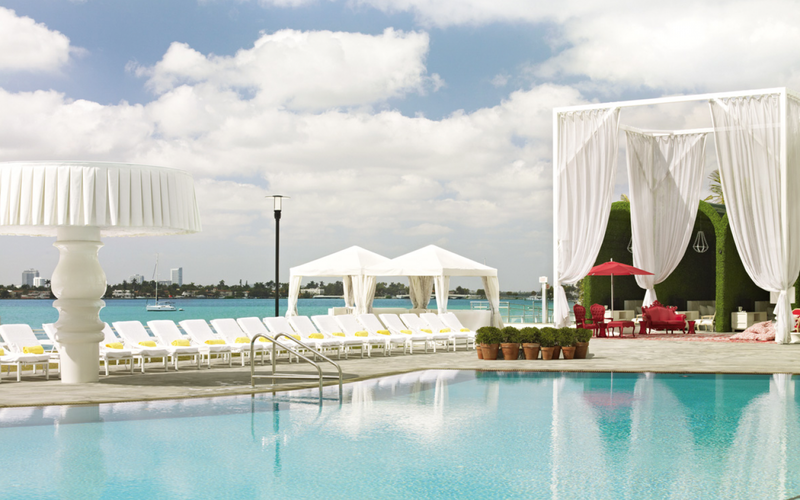 The hotel offers guests a pool, spa, and private marina to make their Miami getaway special. 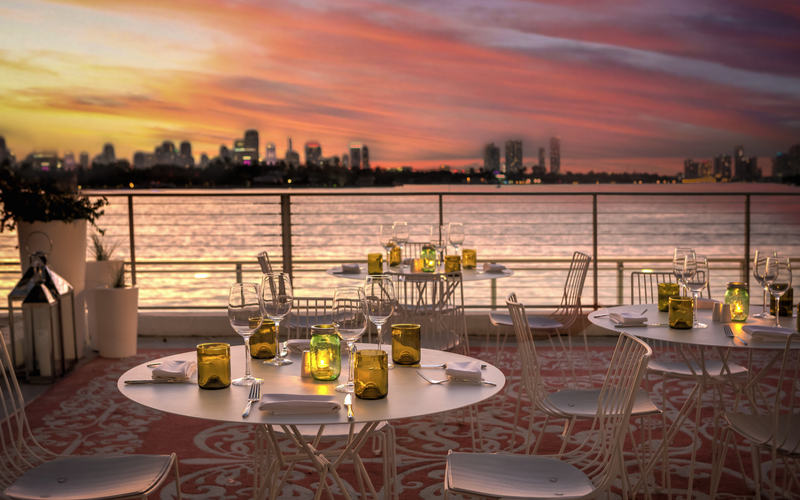 La Savina, the hotel’s restaurant, offers delicious American fare, and the Sunset Lounge is perfect for a beachy cocktail. 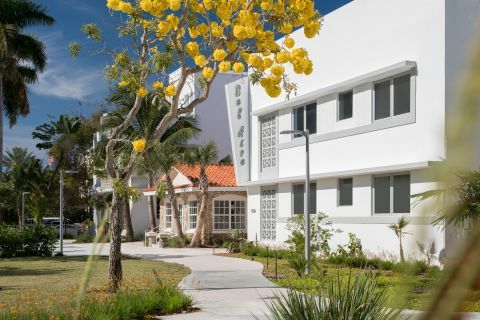 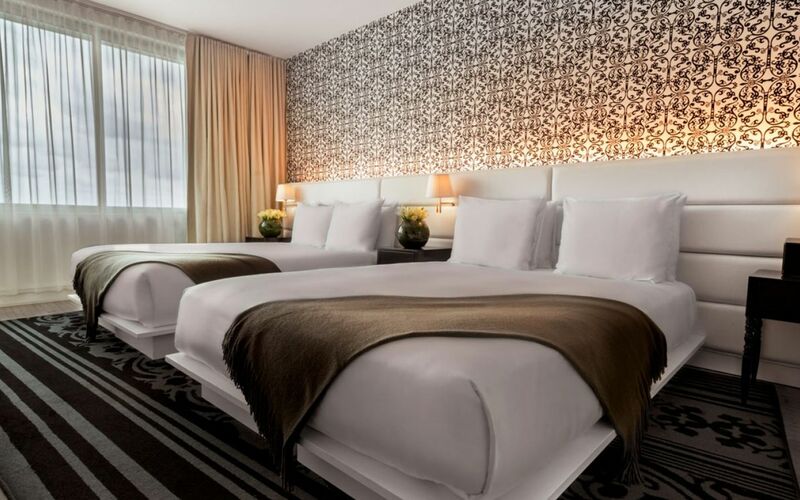 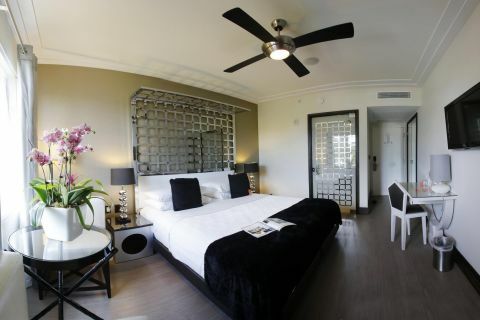 The hotel has a prime location on West Avenue, minutes away from all the indulgence and heat that South Beach has to offer, yet the hotel is removed enough that guests can enjoy peace and quiet and plenty of space.